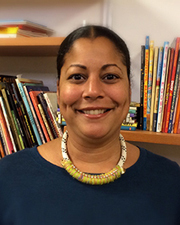 Fabienne Doucet is Associate Professor of Early Childhood Education and Urban Education in the department of Teaching and Learning at the NYU Steinhardt School of Culture, Education, and Human Development. Born in Spain, raised in Haiti, and migrating to the U.S. at the age of ten, Doucet embodies a hybrid identity that is mirrored in her interdisciplinary approach to examining how immigrant and U.S.-born children of color and their families navigate education in the United States. A critical ethnographer, Doucet specifically studies how taken-for-granted beliefs, practices, and values in the U.S. educational system position linguistically, culturally, and socioeconomically diverse children and families at a disadvantage, and seeks active solutions for meeting their educational needs. Jennifer Keys Adair is Associate Professor of Early Childhood Education at The University of Texas at Austin. As a young scholar fellow with the Foundation of Child Development and a major grant recipient of the Spencer Foundation, she focuses on the connection between agency and discrimination in the early learning experiences of children and immigrants, particularly how systemic deficit views of families often translates into a denial of practice and experience in children's schooling. Dr. Adair has published in a wide range of journals and news outlets. 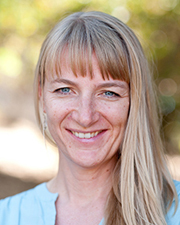 She has conducted multi-sited, video-cued ethnographic research projects in the United States, India, New Zealand, and Australia as well as throughout Europe.